Last year we started vlogging and overall using videos a lot more in our communication. It’s an easy way to communicate and a lot more personal than most online communication. We like it a lot and will obviously continue to focus on video this year. Following our recent posts on social media analytics (Twitter, Facebook), it only seems to make sense to go over YouTube Analytics as well. YouTube continues to be the second largest search engine in the world, and of course, you want to monitor your efforts there as well. When you visit youtube.com/analytics (be sure to pick the right profile in the upper right corner), you’ll find a number of ‘channels’ in the left menu. For this post, I’ll mainly focus on the watch time section. I’ll write a second post on the engagement reports section of YouTube Analytics soon. YouTube Analytics starts with a nice overview of watch time, average view duration and things like your top 10 videos. The page bottom shows some graphs showing countries, gender, traffic sources, and playback locations. Filters are available for uploads/playlists, subscribed/not subscribed, and live/on demand. My 2 cents? Just a nice overview, but it tells me little. I do like the top 10, but for the rest I’d like to see more details, and that is probably why Youtube Analytics is divided into many subsections, that can easily be accessed through the left sub menu. Hovering elements will give you more details. 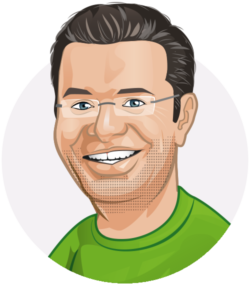 I already mentioned in an earlier post on Google Search Console that some graphs are better used for trend analysis than anything else, and that seems to be the case here as well, that is why these overviews only really matter at an event, like the start of a new campaign or when you’ve just sent out your email newsletter. There’s also a convenient overview of these stats for the last five videos you uploaded. So if traffic on that important video is low for instance, you could consider giving it some extra social media exposure or mentioning it in your upcoming newsletter. Clicking one of these specific videos will get you to a page where you’d expect more details on the video, but that isn’t the case in this Realtime section. It just shows the stats a bit larger :) The hover state in the overview shows you a lot more – see image on the right (channel, date of creation, when it’s published, duration and privacy setting). I’m going to skip this section, as this only works when Adsense is associated with your YouTube channel. We didn’t, as our earnings come primarily from this website and not per se from our videos on Youtube.com. If you have associated Adsense, this section will show estimated earnings and ad performance. Now this is an interesting section. This is about how people watch your videos and analyzing this can give you new ideas for promotion and on how to organize your videos. A multi-line chart for the videos that were viewed in the selected period (which can be selected using the slider at the bottom of the graph). This will show you your best performing videos and your underachievers. There is a filter for growth, totals and % of totals. A stacked area chart for totals and how that total is divided. This isn’t my kind of chart, but hey, there’s a chart for everyone. The next one is a pie chart showing basically the same information. Big difference is that this chart can’t be filtered to show data per day, rolling x days total, week, month etc. That makes this chart less useful in my opinion. Then there is a bar chart, which can do add a lot when you’re in ‘comparison’ mode. Compare two videos, for example, and bar charts will show you how, e.g., the geographic distribution is different for those two videos. And then, as a total surprise, a map of the world. This maps shows where your views come from. Next to watch time, all charts can also show average view duration, average percentage viewed, watch time in hours instead of minutes, subscriber views and/or subscriber minutes watched in that same chart. Audience retention in YouTube Analytics is about how loyal your viewers are. These are actually nice graphs to play with and see how things compare to each other. It will give you a better view about the performance of certain videos. You can see there are a few more tables to be analyzed: which country had the most watch time (including average view duration), which day had the most watch time and whether most watch time was done by subscribers or people that still have to subscribe to our Yoast Channel. Nice to see that subscribers watched a bit longer on average (even about 50% longer!). 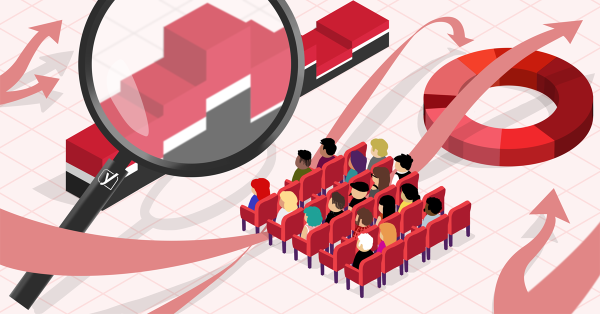 The audience retention report at the video level is a different beast! It shows you where in your videos that people are dropping off. Spot on, as this will tell you for instance what the ideal length of certain types of videos are, and for instance where to put your call-to-action or cards. 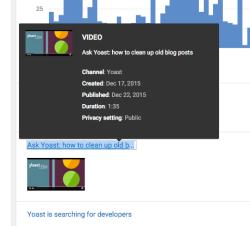 More on cards in the second part of this post on YouTube Analytics. You should definitely play around with the data in this section and see what comes in handy regarding your own videos. 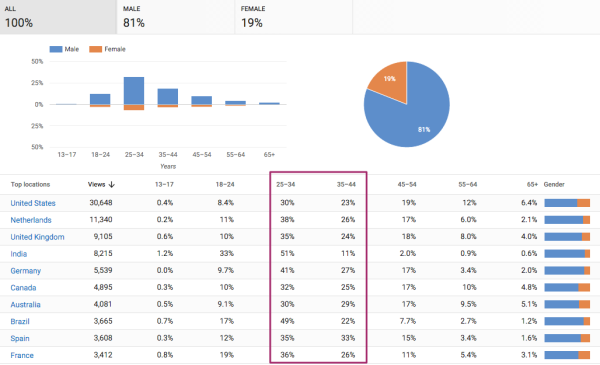 Our main YouTube audience is from the US, UK, India and the Netherlands, and these are mostly male viewers in the age of 25-44. I can think of companies where this information is very valuable, like (online) magazines and other companies that try to target a specific audience. Embedded in external websites and apps. This is the main location for our videos, as we share these on our website and promote them via Facebook, for instance. YouTube watch page. Another important one, as a lot of viewers prefer youtube, or click from one video to the other or use the app to view videos. There are two minor locations in our case, being YouTube channel page (no need to optimize that, as far as I can see that one gets little traffic), and the leftover location ‘other’. Unfortunately, this is as detailed as it goes, clicking the links in this table will give you (drumroll) geographical information, per country per traffic source. I do like the devices sections, which tells me that a whopping 87% of our watch time is done on a computer, 64% on Windows and 33% on Mac. Just about 6% is done on a phone, and even less on a tablet. This section just applies to the live streams you had in a certain period. For us, this section holds little information as we only streamed videos for a day. I can imagine this section might also be interesting for certain companies. That concludes our first post on YouTube Analytics. In an upcoming post, I will dive a bit deeper in the engagement stats YouTube provides. Keep a keen eye on our website for updates! You left out one critical piece. The audience retention report at the video level is a different beast! It shows you where in your videos that people are dropping off. Also, bar charts do add a lot when you’re in ‘comparison’ mode. Compare two videos, for example, and bar charts will show you how, e.g., the geographic distribution is different for those two videos. Thanks for sharing. Video will be going to change the way of content marketing. So this will help. thanks for good content, time is always important. paying attention to when our customers are online is very important. Very Cool post about YouTube Analytics.